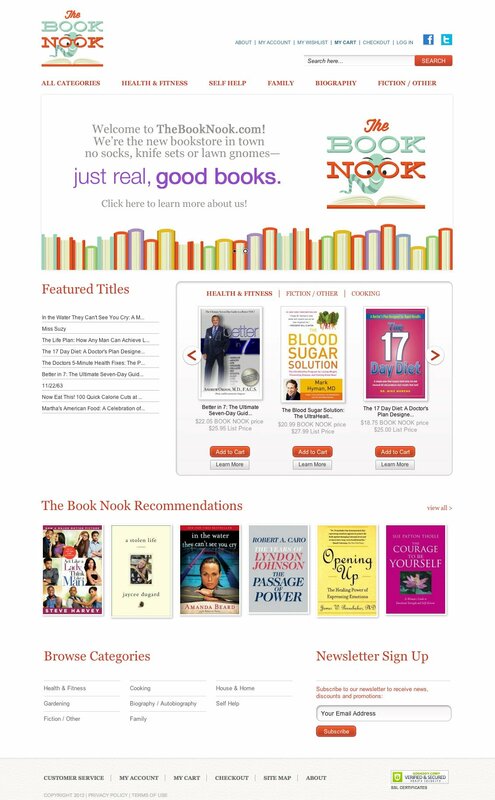 The Book Nook is the creation of Jay McGraw, son of Dr. Phil. 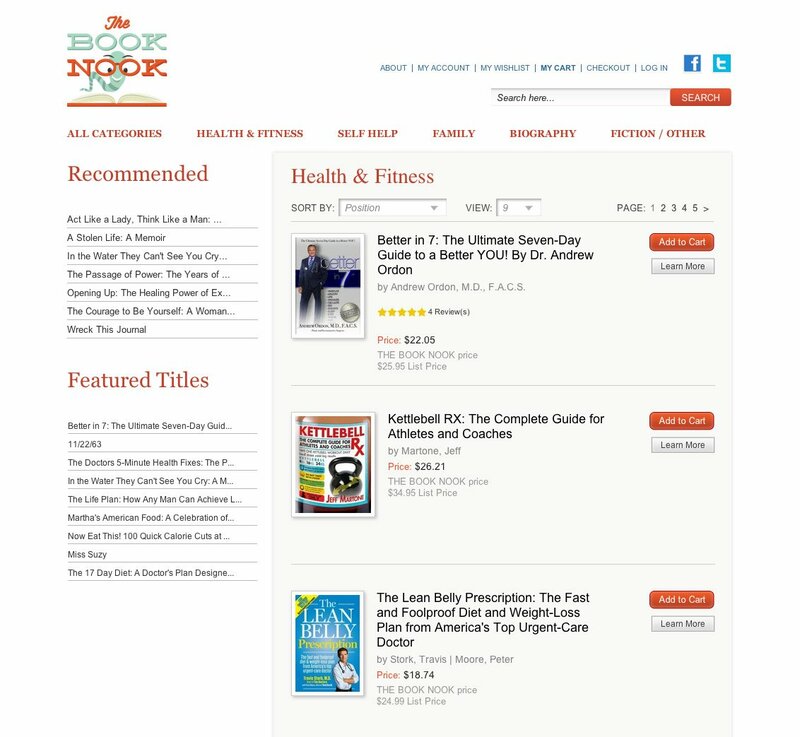 The site is dedicated to creating a quick and easy online book-buying experience, as well as promoting the Dr. Phil line of health books. I was brought onto the project to oversee the front-end development using Magento and coordinating with a large team of designers and software engineers. I shed my “Cowboy Coding” ways and learned the value of version control through Git. git pull/git add ./git commit/git push are now part of my everyday workflow.